Pacific Current Partners leverages deep industry experience and relationships and specialized legal and managerial expertise to acquire properties both on and off market and to add and maintain superior value for investors and other stakeholders. PCP is still actively seeking MH and RV park acquisition opportunities, especially in the $5M to $15M range. At the same time, the company is working diligently and enthusiastically to execute asset management value-add business plans within our existing portfolio. Learn more about the team undertaking these endeavors. Our business plans often include the addition of solar capacity to reduce electric utility expenses. We take advantage of the generous tax incentives currently offered in order to strengthen our returns. We have a thorough understanding of the value-add solar can bring to RV parks and communities of manufactured homes and maintain strong working relationships with solar contractors that specialize in MHRV installations. Our team has successfully negotiated or litigated modifications to Conditional Use Permits at several parks, including at Loomis RV Park, where we eliminated a significant transient occupancy tax that had been paid annually to the city of Loomis by the park’s prior owner. We understand such legal issues inside and out and are confident in our ability to clear up confusion surrounding zoning, permits and entitlements to bring regulators and us as owners onto the same page. We apply our expertise to structure acquisitions so as to generate maximal tax incentives and benefits for investors. Whereas many other buyers of manufactured housing communities in premium California markets have aimed to convert properties to ‘higher and better use,’ Pacific Current Partners holds a commitment to owning and operating our properties as manufactured housing communities for the long term and to realizing value by improving community experience for residents. 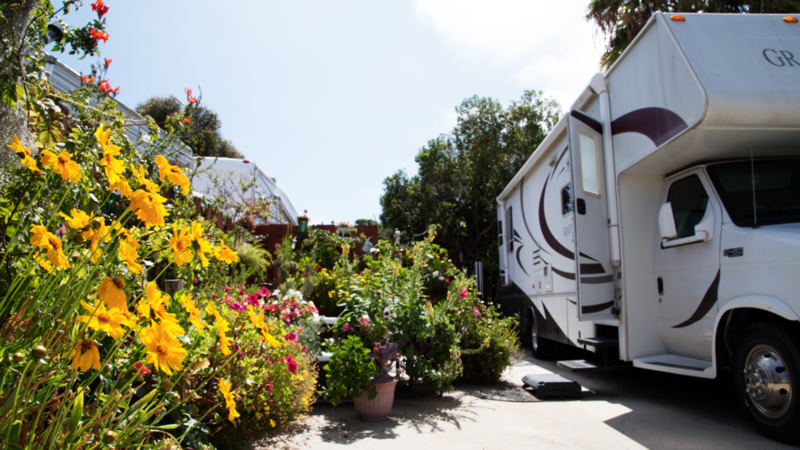 Through off-market transactions and specific value-add expertise, we continue to grow our portfolio of mobile home and RV parks throughout the Western States. Spencer works on the acquisition of the properties in our mobile home and RV park portfolio, including property sourcing, underwriting, diligence, financing, and business development for Pacific Current Partners. After graduating from UC Santa Barbara, he worked as a Senior Financial Analyst at Sierra Funds, a hedge fund in Irvine, CA, where he analyzed and advised on distressed investments in publicly traded companies, mainly on the purchase of unsecured trade debt in large Chapter 11 bankruptcies. He left Sierra Funds to pursue a PhD in Literature and Philosophy at UC Berkeley. During his tenure at Cal, he taught many undergraduate courses in Literature and Philosophy, including an upper-division seminar on Nietzsche, Marx, and Freud. After founding Pacific Current Partners in 2013, Spencer decided to leave Academia and return to full time business. He now resides with his wife in both San Francisco, California and Berlin, Germany. Brad works on the acquisition of the properties in our mobile home and RV park portfolio, including property sourcing, underwriting, diligence, financing, and business development for Pacific Current Partners. Prior to joining Pacific Current Partners in 2016, Brad was a Principal in the Tradable Credit Group at Ares Management, a global asset manager with $92 billion of assets under management. He was personally responsible for managing a $2 billion portfolio of non-investment grade corporate high yield bonds, leveraged loans and post-reorganization equities within various industries across several investment strategies. Prior to joining Ares in 2008, Brad was an Investment Banking Analyst at Bear, Stearns & Co. and prior to that a manager within the Correspondent Lending Group at Countrywide. Brad has supported PCP since its inception as an active limited partner in every closed transaction. He is a graduate from Cal Poly San Luis Obispo with a B.S. in Business Administration and a minor in Economics. Thom works on business operations, asset management, and project management at Pacific Current Partners. Since graduating from Stanford University in 2003, he has worked extensively in all aspects of real estate asset management while focusing on finance, project management, and facilities operations. He is currently a Trustee of REC PAC, a political action committee founded by the California Association of RV Parks and Campgrounds to advance the interests of the CA RV Industry. Thom is also President of Rial Corporation, acting as owner’s representative of the firm’s U.S. real estate holdings, including its flagship asset, Scotch Hall Preserve, a 900 acre waterfront golf and residential community in North Carolina. Previously a Financial Consultant at Kaiser Permanente, he drove process improvement and reporting related to the facilities division’s $1-3B annual capital plan. Guy joined the PCP team in 2016 as the company’s first project manager. Since joining the team, Guy has managed $1.2mm in capital improvement projects, led physical due diligence efforts on current acquisitions, and taken on various special projects. He brings a wealth of hands-on Real Estate experience to the team, having navigated several mixed-use projects through complex entitlement and land use processes and has managed several dozen construction jobs. After attending UC Davis, he started his career in residential property management in the early 2000’s with Canyon Pacific Management in San Francisco. He is a licensed Real Estate Broker and since 2005 has brokered over $155mm in residential and mixed-use transactions. In 2012, Guy formed North Point Investments Group, a privately held Real Estate Investment Company that focused on value-add plays for distressed assets. Mike Cirillo is in charge of park operations for all Pacific Current Partners properties. As President of Star Management and third generation community owner/operator, Mike has over 35 years of experience in the day-to-day operations of manufactured housing communities and currently provides property management for over 4500 spaces in 30+ properties. Mike also serves or has previously served on various industry trade association boards and committees, including in his former role as President of the Western Manufactured Housing Communities Association (WMA) and his current role as Chair of the Utilities Task Force for the WMA, member of the California Association of Realtors and member of the Nevada Community Owners Association. Mike is a Certified Property Manager, licensed Real Estate Broker, Mortgage Broker, Manufactured Home Dealer and C-47 Contractor. Rob Coldren enjoys a special reputation in the area of property rights, land use, and regulatory issues pertaining to manufactured housing communities and recreational vehicle parks nationally. For over thirty years, Rob led the law firm he founded to become at the time widely recognized as the premier legal representative for the manufactured housing industry and for mobile home and RV park owners throughout California. Since 2013, Rob has reserved his legal talent and services for a select group of highly regarded park owners in his law practice at Coldren Law Offices, and while his legal background informs his judgement and business acumen at PCP, he and his firm do not represent the group or affiliates as a lawyer. Rob has unparalleled relationships within the industry and has been recognized with numerous honors and awards. He is a frequent speaker at industry events and conferences and has served and continues to serve on various association boards. Rob has helped to draft key legislation and has litigated many of the industry’s most important cases. 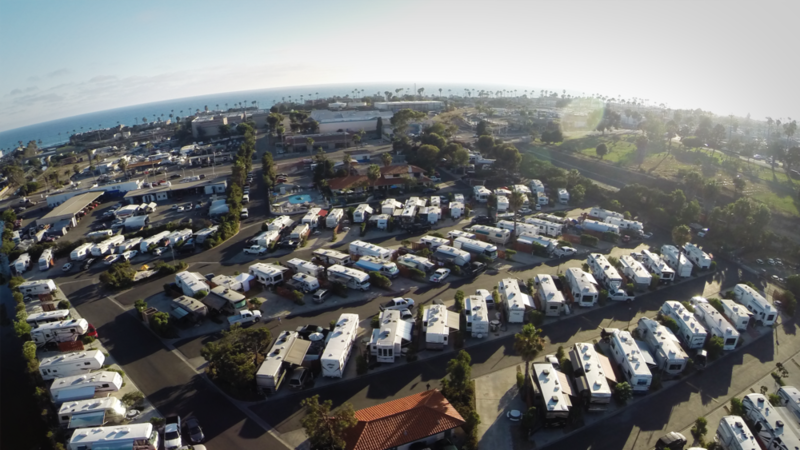 As a Strategic Alliance Partner, Pacific Current Partners (PCP) is collaborating closely with the California Association of RV Parks & Campgrounds on industry-wide business development initiatives. Thom Niederkofler, a partner at PCP, is currently a Trustee of REC PAC, a political action committee founded by CalARVC to advance the interests of the CA RV Industry in Sacramento. He is also volunteering on the CalARVC Education Committee, helping to bring advanced education opportunities to CalARVC members. As a Preferred Provider, Pacific Current Partners works in collaboration with ACE (ADA Compliance Experts) to Provide CASp Consulting Services To The MHRV Industry. We have partnered with Equinox to offer our residents reduced monthly rates, initiation fees, and other significant benefits on a premier fitness experience. The Equinox High Performance Living Program is offered to all of our residents. Equinox has been a fantastic partner in helping to provide these very significant benefits to our residents. With 135+ locations internationally, Equinox has operated luxury fitness centers since 1991. The Huntington Beach location boasts panoramic vistas of the Pacific Ocean, full-service spa and juice bar in addition to the elevated experience members can expect at all of their facilities. IN THE MOBILE HOME AND RV PARK INDUSTRY. We are interested in hearing about your MH or RV park property.